We provide our children with boundaries because we want to keep them safe and we want to teach them to make good decisions. While the boundaries themselves may change as our children grow older, the need for them does not. Parents need advice to navigate complex and difficult scenarios that may arise with their teen. 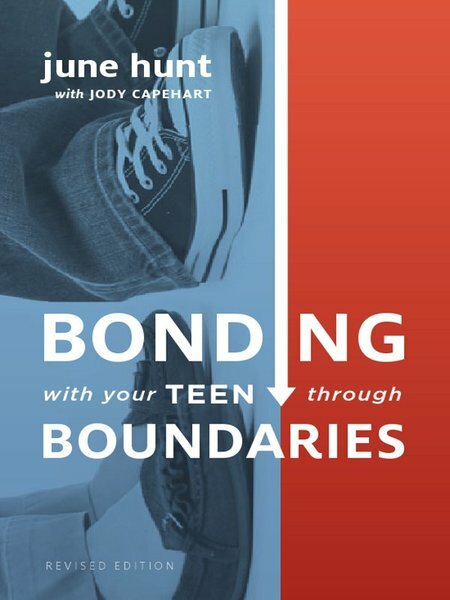 June Hunt and Jody Capehart provide such advice in Bonding with Your Teen through Boundaries. Drawing on biblical principles, they show parents how to provide appropriate boundaries in four critical areas of a teen’s life: at home, at school, and in their personal and social lives. Each chapter opens with a real-life scenario followed by concrete advice on what to say and what disciplinary action, if any, to take with your teen. Practical and realistic in its tone, the book continually shows how discipline and boundaries are helpful catalysts for healthy bonding. This thoroughly revised and updated edition of Bonding with Your Teen includes new material that addresses the ever-increasing impact of technology on teenagers.